Original Australian Alpine Classic Tall ugg boots made in Australia from genuine Australian double faced sheepskin. Buy online here, select required options, add to cart, proceed to our secure checkout and pay with PayPal, credit card, debit card OR buy at our SYDNEY FACTORY OUTLET where you can get FREE pair with BUY 3 GET 1 FREE special offer. The only place you can find tall ugg in big sizes, 10-11, also it is pretty great quality, I was impressed! Very easy to navigate store with fantastic quality products! Everything on this website is affordabl! very pleased with product and prices, highly recommend! 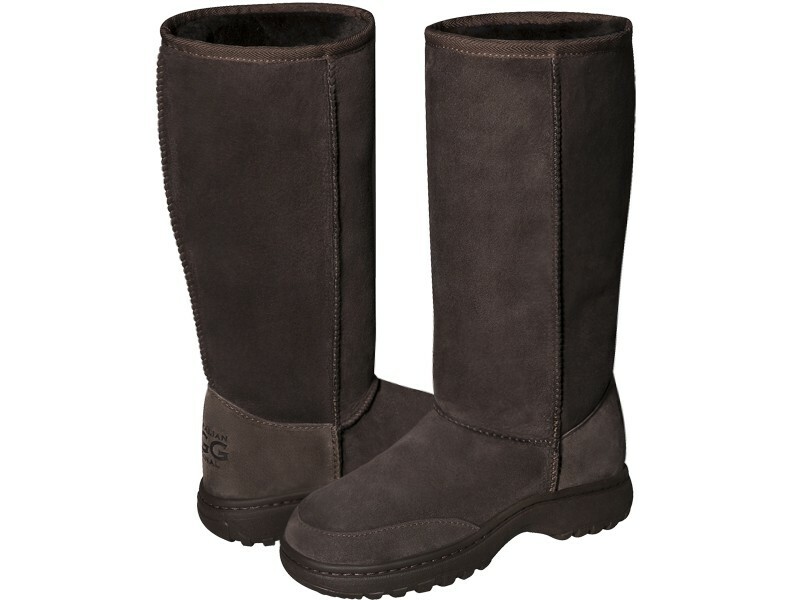 I love them, they have the best ugg! shipping is fast, quality is fantastic! Last Friday I visited your store at Darlinghurst, Sydney. Amazing uggs, amazing customer service! Highly recommended! I was in Sydney in September 2018, bought some Uggs but not the tall ones, couldn't fit them in my case, so I Placed an order on for these boots 28 Nov 2018. They arrived in the UK on 6 December & were delivered to me in the Scottish Highlands by 13 December. Amazing service. The quality of the boots is superb, can't wait to use them. I only want genuine Australian boots & would recommend you to anyone who wants Uggs. this company is the best, the tall boots i've ordered arrived quickly and are just so warm. I wear them everywhere. great craftsmanship, everybody always asks about my uggs. Bought a pair of these a couple of years ago, the thick sole was a prime reason for the purchase. They have worn exceptionally well, a great purchase. Keep up the excellent standards folks. Very much like the heavy duty rubber sole and the rigid heel construction. Superior to other brands of Australian made ugg boots. I received my boots a week ago and I love them!!! They got here earlier than was stated and they were exactly what I wanted!!! Very well made and warm. Compared with the classic uggs, these have thicker outsole. Money well spent! I bought these for my wife and she loves them and also the people at 85 William Street store and their service are great. I enjoy the new boot. The fit was good, the delivery was prompt. I am very pleased with these alpines I ordered for my husband. I knew the quality as I already had a classic short myself. Great job, I will order from you again!